On my way home, I noticed a fancy new building with a huge COUNTRY CHICKEN board! Next morning there was an ad on Chennai Live 104.8 FM for the same and so three of decided to skip our usual Subway/Quiznos and try this out for lunch! For a minute, we thought we were in a Fancy Dress competition and then realised that all of them are wearing the same fancy dress - Cowboy Style. Apparently these are Australian cowboys and not the Texas ones! The menu was very similar to KFC! We settled for a veg burger (for the vegetarian), one spicy country chicken burger with friend chicken and coke combo and I had the Australian Chicken burger! The veg burger was blah, according it the vegetarian. 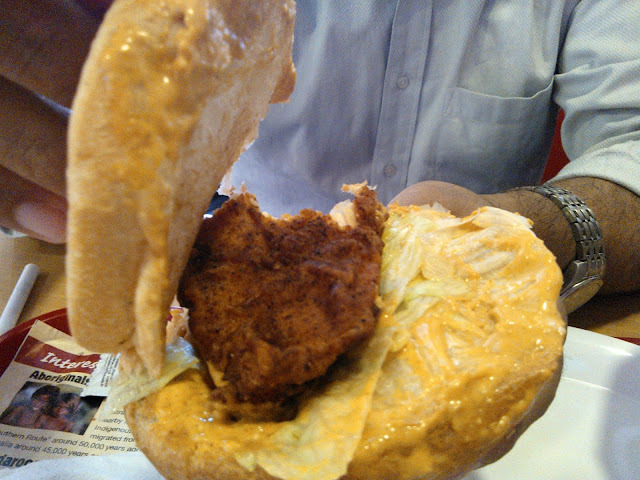 The spicy chicken burger was a piece of fried chicken with a spicy sauce. My friend who took one bite and said there was more bun than chicken opened it and what we saw is what you can see in the photo. I had a bite and I must admit that I liked it, but the chicken inside was tiny and hardly covered the buns! The fried chicken was over fried - not sure if this is how it should be, but it was ok! 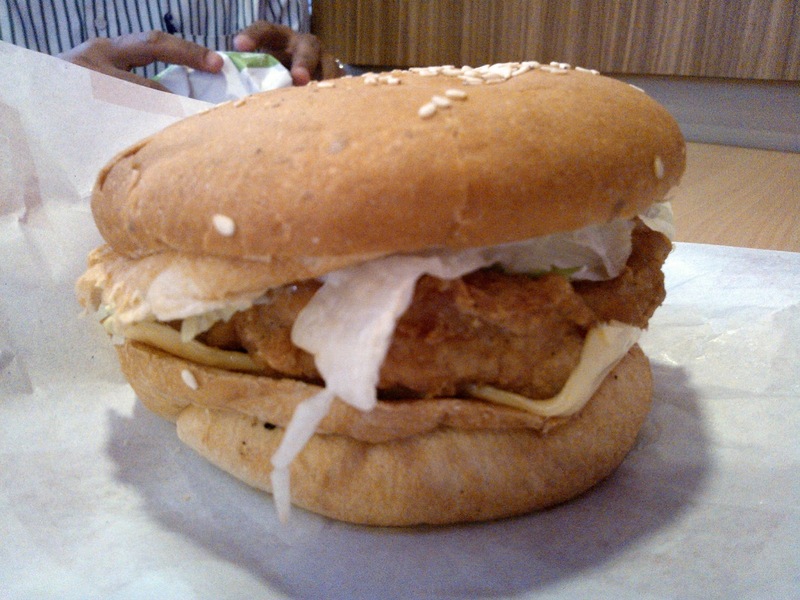 My Australian Chicken Burger was exactly the Marrybrown's hot touch burger - it was nice, but nothing special in it! So you have another fried chicken outlet in town! If it came before KFC, it might have been a hit, but right now, it's just a catch up game! 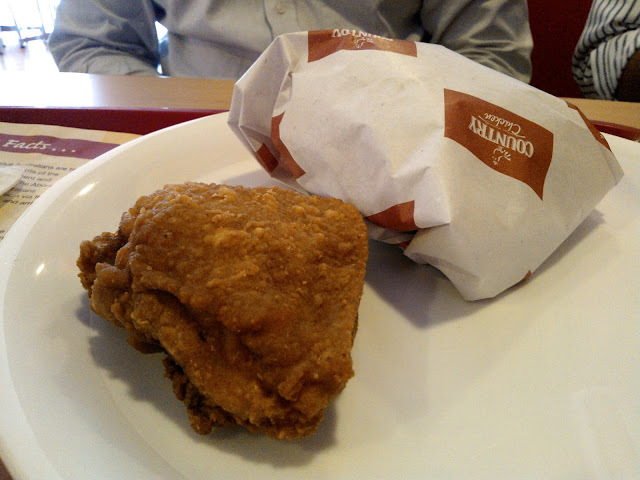 Country Chicken is on Valluvarkottam High Road.